Beijing, Tianjin Municipality, Hebei Province and Shanxi Province together are known as the Bohai Economic Rim. But now the area has a new embarrassing nickname: "Haze Circle around the Capital." The capital already has reasonable industrial and energy structure; Beijing's smog primarily comes from auto exhaust. According to the Tracing the Smog report from the Chinese Academy of Sciences, the biggest source of PM2.5 found in Beijing is vehicle emissions, which account for one fourth of the total. The other two biggest contributors are coal burning and pollution drifting in from peripheral areas, especially Hebei Province. According to statistics from the first quarter of 2013, seven cities in Hebei ranked among the top ten most polluted in China. Once considered the capital's "moat and nutrition base," Hebei is now known to Beijingers as the chief culprit of Beijing's haze. But actually, Heibei provides for Beijing's consumption, supplying the capital with five percent of its electricity. According to statistics from Greenpeace, coal power generators are the largest single source of industrial PM2.5 pollution in Hebei. The Chinese Association of Electricity showed that in 2011, 153 coal power plants in Hebei made up 73 percent of the total installed capacity in the area including Beijing, Tianjin and Hebei. In 2008 when Beijing hosted the Olympic Games, in order to prevent air pollution in the capital, Shougang (Steel) Group was relocated to Chaofeidian in Heibei, at a cost of over 50 billion yuan. "The pollution accompanied Shougang here," the head of one Hebei county's publicity department sighed. "Beijing keeps a high profile and notes that it moved many industries to Hebei. 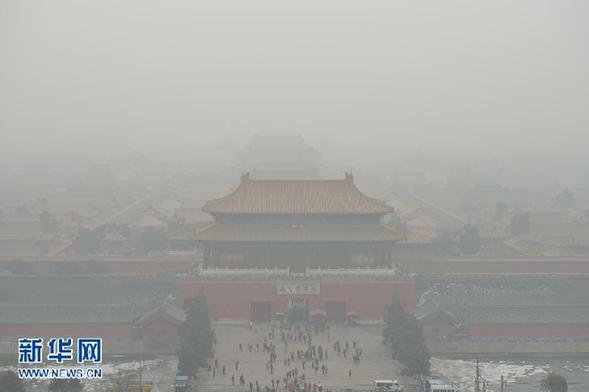 We admit we gained some revenue, but Beijing cannot blame all of its pollution on us. We are under too much pressure." "Hebei is not even the most typical exporter of power at the cost of environment," remarks Dr. Liu Zhui, researcher with Giorgio Ruffolo Fellowship in Sustainability Science at Harvard University. "Over 30 percent of pollution in Inner Mongolia Autonomous Region is the result of power supplied to Beijing. The capital plans to relocate heavy industry and coal power plants to undeveloped western areas of the country. This will increase transport costs and energy consumption, which will result in greater total carbon emissions. Furthermore, poor technology and environmental protection consciousness in central and western China makes it harder to cope with contamination." For decades, China's resource-rich underdeveloped areas have continuously fueled developed regions but without proper compensation. Western China gradually fell behind the eastern areas, where economic clout has risen proportionally while the environment of western areas has deteriorated due to long-term exploitation of forests and mines. A natural protective screen for the country and home to Chinese rivers' sources, the western areas have become the victim of poor implementation of the principle "the one who profits should restore the ecology." Sharing the same planet and its finite resources, those from various regions and countries must accept the responsibilities together or the situation won't improve.